We are proud to be a leading supplier of induction heating solutions to the fastener industry. Our systems are commonly used in applications such as hot heading, thread rolling and thread patching. 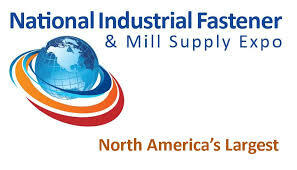 In light of this, we are excited to be exhibiting at next week's National Industrial Fastener and Mill Supply Expo at the Sands Expo and Convention Center in Las Vegas, NV USA. The exposition runs October 26-27. Many manufacturers choose induction over cold forming and other heating methods for a number of reasons. First, induction heating provides precise, rapid heating. Heat is only delivered where it is needed. Additionally, it eliminates the springback effect which results in higher quality parts. Finally, it is an economical option as it reduces pressure on the die and consequently extends die life. At the show we'll have MAX on display, the world's first induction heating cobot. This collaborative robot can safely and efficiently handle parts. It is ideal for repetitive tasks, works hand-in-hand with humans, and is ideal for many fastener manufacturing operations. eVIEW induction heating software will also be demonstrated with MAX, which offers temperature monitoring and data logging to users; often a requirement of fastener end users. And, of course, an EASYHEAT will be providing the induction heating. Dr. Girish Dahake, Senior Vice President of Global Applications, from THE LAB at Ambrell will be on hand. Feel free to bring your parts to booth 2435. We offer complimentary applications testing in our three applications laboratories, and we can get the process started at the tradeshow. You send in your parts, our applications engineers will test them and determine the right system for your fastener manufacturing process. We hope to see you next week and be sure to ask for a free Ambrell "stress" football.